Yet another super quick dish and so yummy! 1. 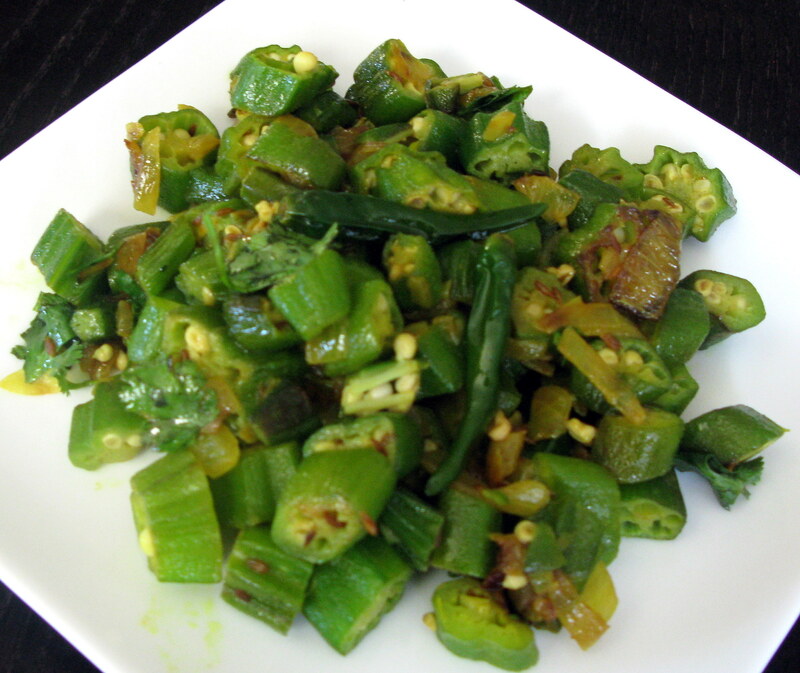 Wash and dry the okra thoroughly and then slice off the tops. 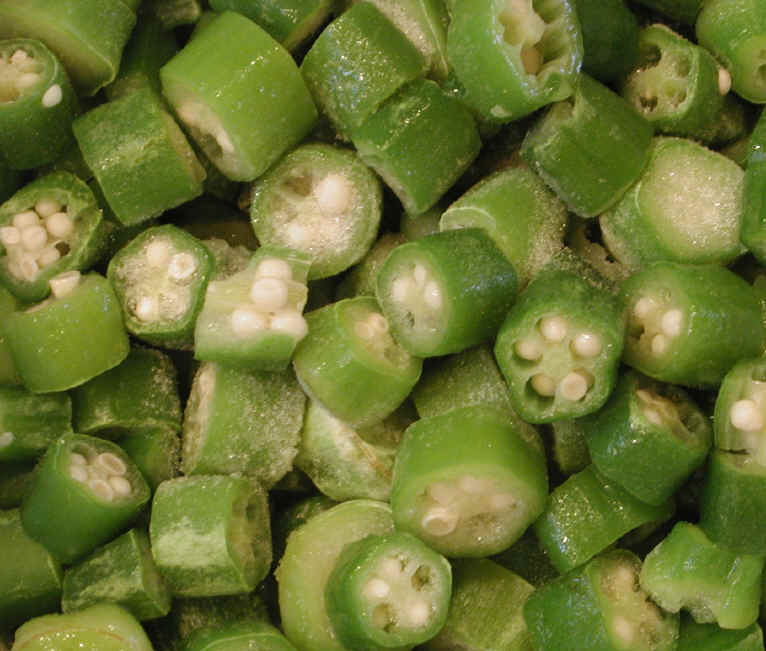 Slice each okra into about 10 slices. 2. Slice the onion into thin strips and fry for about 3 minutes in one tablespoon of hot oil until they become brown. 3. Add 1 level tsp of fresh cumin seeds and fry for 30 seconds. 4. Add the turmeric and salt to the onion and cook for 1 minute on medium heat. 5. Add the okra and stir in the flavors. Fry for 3-4 minutes until slightly brown. Add the green chilies, slit sideways. Lower the heat and allow to cook making sure the okra doesn’t become too mushy. Don’t cover with a lid and don’t stir too much. Cook for about 7-10 minutes. Recommendations: Goes great with white or brown basmati rice and is delicious with daal (lentil curry).